There are two reasons to use overseas private label manufacturers: First, because it’s the most scale-able way to source products for your online business. Second, it gives you the highest profit margins. You can bring any business idea to life by figuring out which private label manufacturers to work with and how to manage that manufacturing process. Where Can You Source Private Label Manufacturers? We recommend sourcing overseas from Alibaba. As of 2014 Alibaba is the worlds largest eCommerce company. That includes both Amazon and eBay combined. It’s also the largest supplier directory…meaning your most likely to find the best and worst suppliers there. If you haven’t already check out the video below to learn how to open your first Alibaba account. Click Here to Open an Alibaba Account! Manufacturing costs are low in China and the largest business expense is usually the cost of goods which is why most people turn to overseas manufacturing. There is a common misconception that products from China are cheap or produced unethically. You can choose to work with incredible manufacturers that only have excellent manufacturing processes and have been inspected by Alibaba. We created an incredible guide to help you navigate the disadvantages to buying from overseas manufacturers. Every single one of these disadvantages can be eliminated with some patience and proper selection practices. I had the idea to produce the first leather watch strap without holes and needed to figure out how to manufacture it. Before that first year of sales, it took us about five months to manufacture a prototype. I’ve launched eCommerce stores with custom products that have generated over $23,000 in sales in under a week, one product was the Conor McGregor “F You” suits. And helping people find private label manufactures in China is what I do full time through Sourcify, the world’s fastest growing sourcing platform. 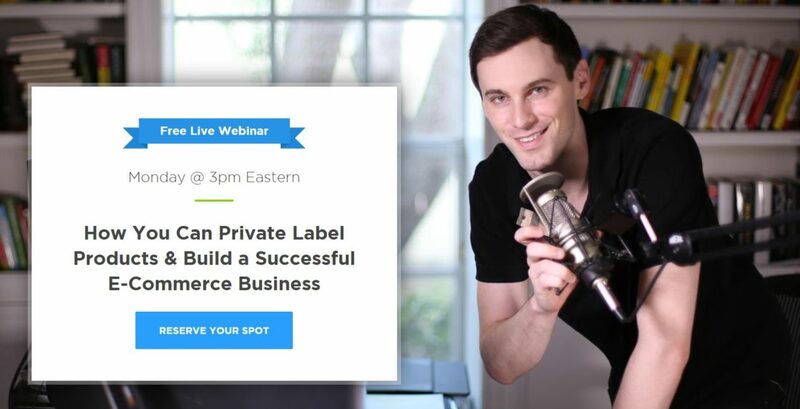 But enough about me, let’s learn the ins and outs of starting a private label business. When you start trying to manufacture a product in China, you’ll wonder whether or not you’ve found the perfect factory. In fact, once you get quotes in from factories, you’ll probably wonder why one factory quotes $3 while the other is quoting $6? You need to get 3 to 5 price quotes per product you want to manufacture and these price quotes need to come from different factories. Organizing logistics and getting price quotes is a month long process. It’s why many people would rather use Sourcify. Verifying if a factory is legit is a whole different step and there are due diligence measures you need to take to confirm a factory. Does their name have the words trading, industry, or technology in it? How many product categories do they manufacture in? What does their business license say? These questions are a good starting point for you to analyze a factory. What companies have you worked with in the past? Where are most of those companies based? Though a lot of good factories won’t disclose who they work with, if you can understand where most of those companies are located, you’ll have a good idea as to the quality standards they adhere to. Most factories that sell into America or Europe produce higher quality goods than factories that sell into Asia or Africa. Can I review your business license? Though this will be in Chinese, you can get someone who speaks Mandarin to review it and check the AIC (Industrial and Commercial Administration Bureau) for each province of China to see if the company is actually registered there. What is your typical minimum order quantity? Most factories want to produce more products. It’s just a matter of fact that they make more money when larger orders are placed. With that said, if you make them believe in your brand, they’ll often be willing to start at a lower order quantity. Don’t think the number they say right off the bat is finite. What is your average sample time? Sample times make the process that much more exciting. Most people think it takes weeks to get a sample made. For simple apparel items like a shirt or hat, samples can literally be done in less than a week. Sample times will vary drastically depending on the type of product you are producing. What are your typical payment terms? Most factories work on a 30% down to start production, 70% paid before shipment payment term. This unfortunately means you need to pay for 100% of your production before you actually receive your product. For larger production runs, it is always smart to send in a quality control team before paying the 70% remaining balance. Now that you know what questions to ask a factory, it’s time to learn how to manage a manufacturing process. Now it’s time to teach you about managing the actual production process. Every product starts with at least one sample and you don’t want to go into a production run without a sample produced by the factory you’re planning to work with. Any specific materials you want to use? Do you have a logo? And do you want it on the sample? When you start discussing your product with factories, you’ll soon realize the abundance of options. As an example, for watches, you can literally customize everything from the logo on the crown to the entire watch face. Knowing what you want will save you in the long run as you don’t want to have to produce multiple samples because you forgot some design details. 10 Untapped Private Label Product Ideas In Demand for 2018! Ask for image updates that showcase progress is being made. You’ll want to ask a factory what the timeline looks like for each part of your product. If one part gets delayed, you know the whole production will be delayed. The key to a smooth production run is staying on top of the process. So, even though most people manage a production run through email, you may want to consider tools that enable you to actually map out the process. If you aren’t ready to start your own private label business, dropshipping could be a option where you don’t hold inventory, but have lower margins. The key to becoming a successful private label product entrepreneur is creating a brand where you can charge a premium for your products. Now that you know how to find the perfect manufacturer and manage a production run, it’s time for you to start your own business! Great way to share this article which provides the Pros&Cons of private labeling. Surely a helpful blog. You cant list on Amazon without SKU. How do you accomplish this for small test quantities? I need someone who can send good products for me to sale, I live in india interested pharma line packaging, sealing, ampules i- food machine parts .